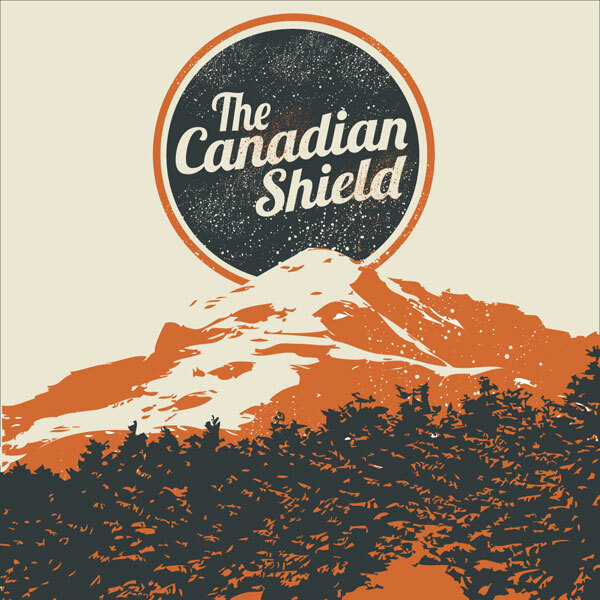 The Canadian Shield refers to the vast region of igneous rock surrounding Canada’s Hudson Bay area, so it makes sense that a rock band would take the moniker and make it their own. Based out of Toronto, this two piece band has their feet firmly planted in traditional rock ‘n roll and it’s clear that these guys are set to do big things. When we first listened to their album, Songs for the Dead in Love, we were immediately hit with a soulful blend of vocals and catchy melodies. It plays out like an awesome night on the town in some bar that you feel right at home in. The sound is polished yet still retains that genuine rock feel. Doug and Mike were kind enough to answer some questions below. TheKnifeFight: The Canadian Shield seems to be a rather fitting name due to it’s “rock” nature. Did that play any part in the decision of the band’s name? MB/DG: Absolutely it did! We have a large affinity for igneous rock, particularly from the Precambrian Era, or vintage, as I believe Geologists call it. That being said, no it didn’t have any particular relevance to the musical style in which we play. It does symbolize our roots though, as proud Northern Ontarioans transplanted down in Southern Ontario. Plus, it sounds killer. TKF: Are there any bands or artists that have influenced you to become a musician yourself? MB: Nearly all music could not exist without prior influences, and as artists individually, we’re no exception. I oweso much to artists I listened to growing up, both from a drumming and songwriting perspective. Off the top of my head, I owe beers to the following: Dave Grohl and Taylor Hawkins, R.E.M., Propagandhi, CCR, John Frusciante, Led Zeppelin, Neil Young, Bad Religion, Paul Simon, Smashing Pumpkins, and At the Drive In/Volta (post-ATDI). DG: I have changed an evolved so much so throughout the years in music, Trevor Keith (Face to Face) Mike Ness (Social Distortion), Joe Strummer (The Clash) have always been major punk influences of mine…but as for songwriting Ryan Adams, Kathleen Edwards, Neil Young and Jeff Tweedy have always blown me away. Influences are a funny thing I don’t think they made me want to be a musician … but I defiantly have a ton of respect for those I named. TKF: A local restaurant wants to feature the “Canadian Shield” sandwich on their menu. What’s in it? MB: Probably beer battered fish tacos with a touch of sriracha. Oh wait, that’s not a sandwich is it? DG: It’s a sandwich if Mike and I are double hugging the person eating it. TKF: We’ve noticed that Canada seems to be the hotbed of a lot of great music. Do you feel that your location helps you or do you feel that there is a lot of competition amongst your peers? MB/DG: I think that Toronto has such a talented, diverse, and supportive scene and such a range of great clubs to play. There are definitely some venues that suit our music and add to what we’re doing. I’ve lived elsewhere in Canada where that range isn’t necessarily as obvious, so I feel that we’re lucky.